I want more for Drew Brees and his sons than just what they can earn. And Jesus offers more. “Nothing’s given, everything’s earned. God has equipped us for great works,” he told a post-game reporter, who nodded as well, apparently not noticing the internal conflict in what the quarterback had just said. When asked about it two days later on the Today show, Brees said, “That’s honestly what I whisper in their ear every night before they go to bed.”; Again, the hosts agreed. In some ways, we all agree. Life isn’t a series of participation trophies. Hard work and dedication pay off. We resonate with that—which might be part of our problem, too. Wired to perform, to achieve, to grow, to earn, we like the phrase “nothing given, everything earned” whispered in our ears. I love this thinking, and I’m guessing you do, too. But it’s a grace killer in my life. My observation of Christendom is that most of us tend to base our personal relationship with God on our performance instead of on His grace. If we’ve performed well—whatever “well” is, in our opinion—then we expect God to bless us. If we haven’t done so well, our expectations are reduced accordingly. In this sense, we live by works rather than grace. We are saved by grace, but we are living by the “sweat” of our own performance. I’ll be honest, I dig everything about Drew Brees. And it feels kind of crummy knocking a guy for taking an individual accomplishment and turning it into such a humble father-son moment. Honestly, I don’t even 100 percent disagree with his comments. One more reflection on all this: It really convicts me to realize that I’m so guilty of hero worship. Not the kid version where they look up to players and idolize them. Mine is more adult and more selfish. I was a consumer on Monday night, and I wanted everything to be perfect—the touchdown, the record, the teammate celebration, the hug from the coach, the pretty wife, the family moment, and Drew Brees saying the perfect words during his perfect moment. I wanted my football and my Jesus, too. When Drew wasn’t dude perfect, I judged him for it. Shame on me. Copyright © 2018 by FamilyLife. All rights reserved. 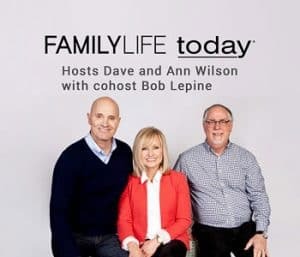 Help & Hope From FamilyLife - a weekly collection of articles, videos, and radio broadcasts to help you grow closer to God and each other. Moments with You - a daily devotional for couples offering practical and relevant marriage and parenting advice. FamilyLife Global - quarterly updates about FamilyLife efforts outside of the US. 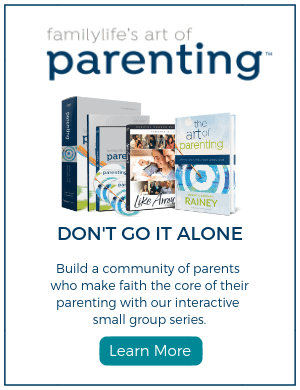 FamilyLife Blended - information on blended/stepfamily resources for those in stepfamilies and those who know them. We exist to help you succeed in the three most important relationships in life. God, Spouse, Kids.